*ATTENTION!!!!!!!!!!!!! * *REDUCED!!!!! *LOTS ON ANNA MARIA ISLAND WITH THIS VIEW ARE EXTREMELY RARE TO COME BY!!! THIS LOCATION IS A ONCE IN A LIFETIME OPPORTUNITY. DON'T LET THIS ONE PASS YOU BY; THE TIME TO ACT IS NOW!!! THERE WILL NOT BE ANOTHER ONE LIKE IT ONCE IT IS GONE!! !SAY GOOD MORNING TO A PRISTINE SUNRISE VIEW FROM YOUR DREAM HOME ON THIS BUILD-ABLE ANNA MARIA SOUND BAY FRONT LOT. ENJOY BREATHTAKING VIEWS ON 1 OF THE HIDDEN SECRETS OF HOLMES BEACH. 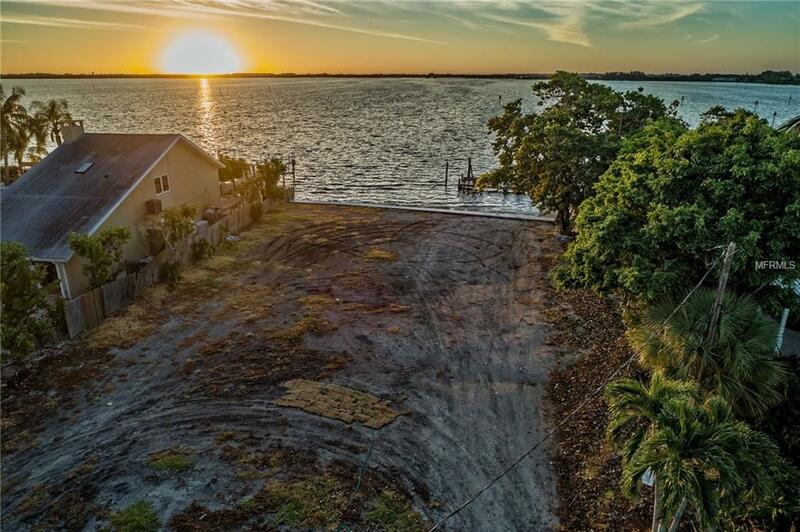 THIS QUINTESSENTIAL LOT OFFERS OLD FLORIDA CHARM, MAJESTIC SUNRISES, AND DEEP WATER WITH A LARGE DOCK FOR BOATING AND FISHING. LOCATED ON A QUIET STREET CLOSE TO SHOPPING, RESTAURANTS, MARINA, AND NIGHTLIFE. WATCH MANATEES AND DOLPHINS PLAY IN YOUR BAY FRONT PARADISE. COME BUILD YOUR DREAM HOME AND ENJOY ALL THIS LOT HAS TO OFFER.